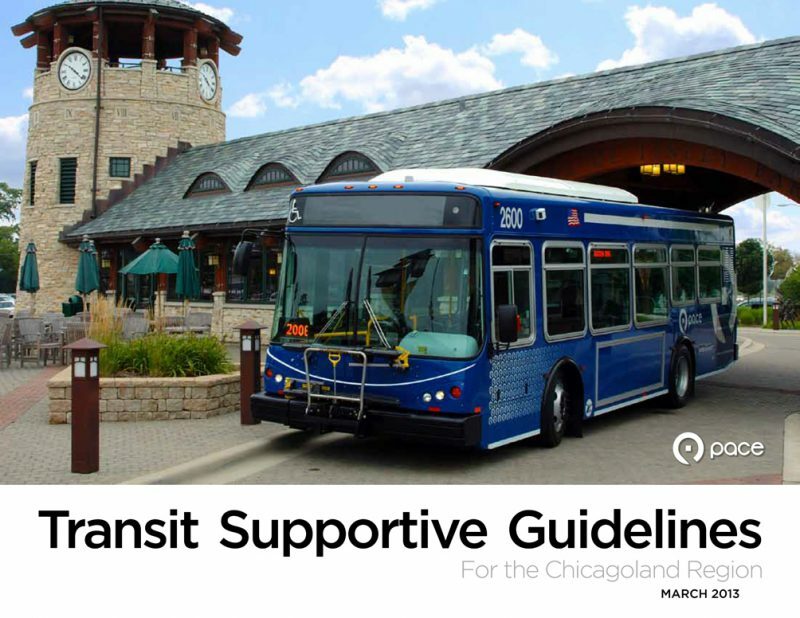 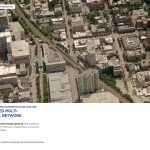 Pace Suburban Bus, in the midst of redefining its regional service model, hired Houseal Lavigne Associates to prepare Transit Supportive Guidelines for the Chicagoland Region. 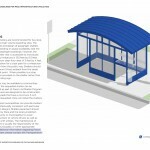 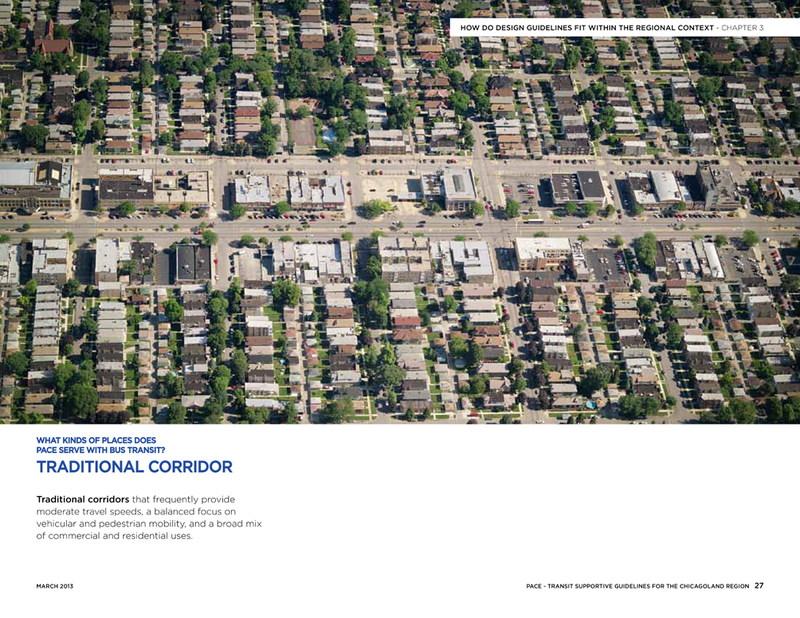 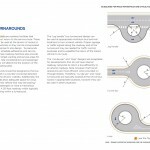 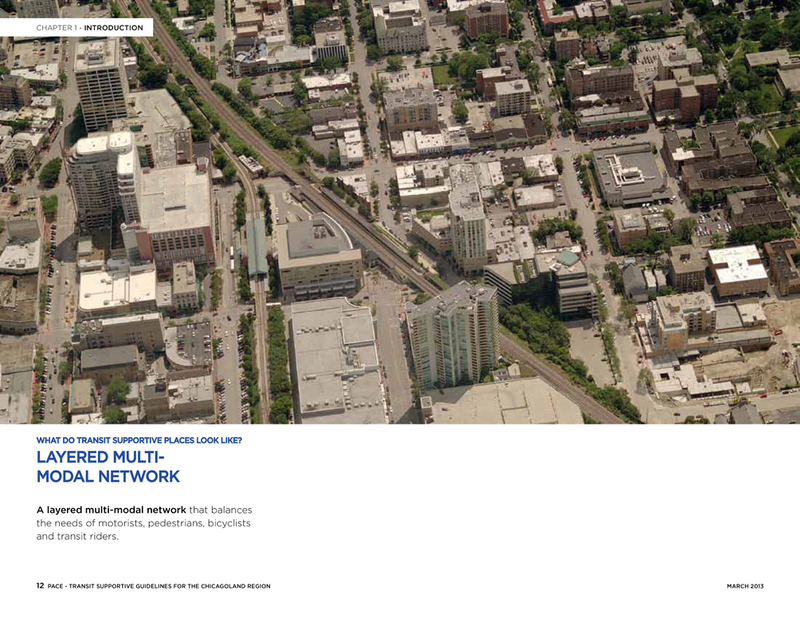 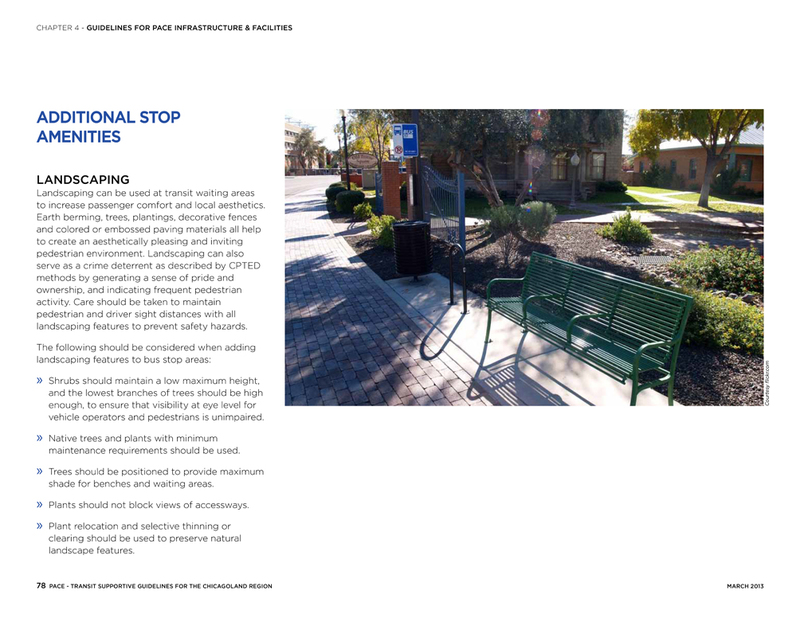 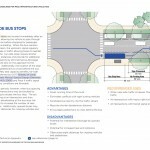 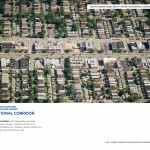 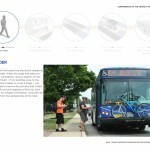 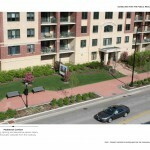 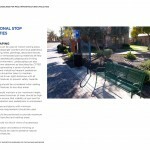 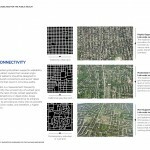 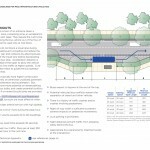 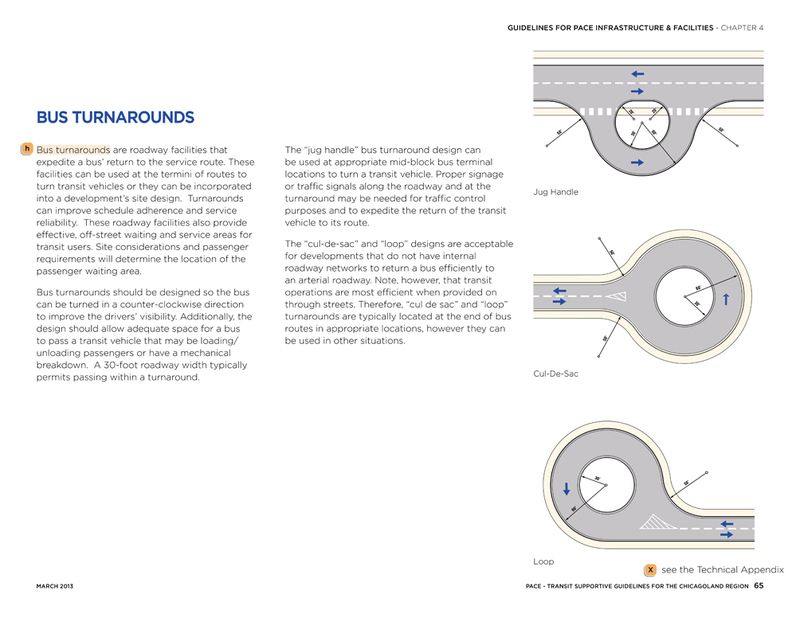 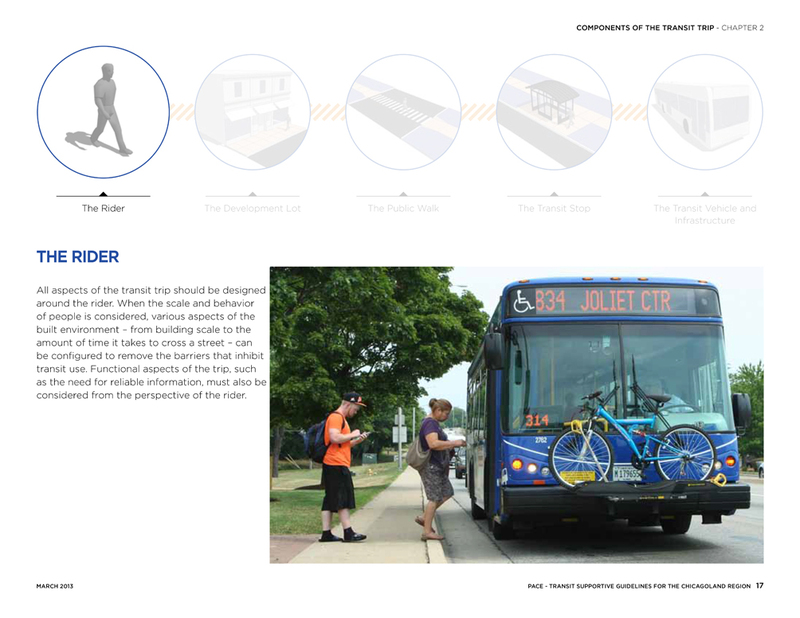 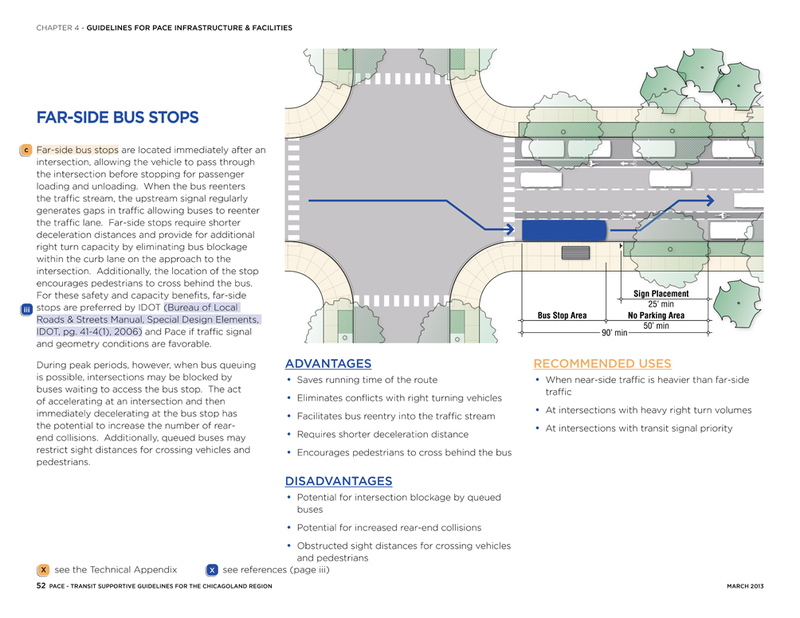 The guidelines provide local municipalities, developers, designers, and other transportation agencies with a series of core principles that ensure that the complete transit trip - including the portion from the front door of the point of origin to the transit vehicle itself - are safe and comfortable. 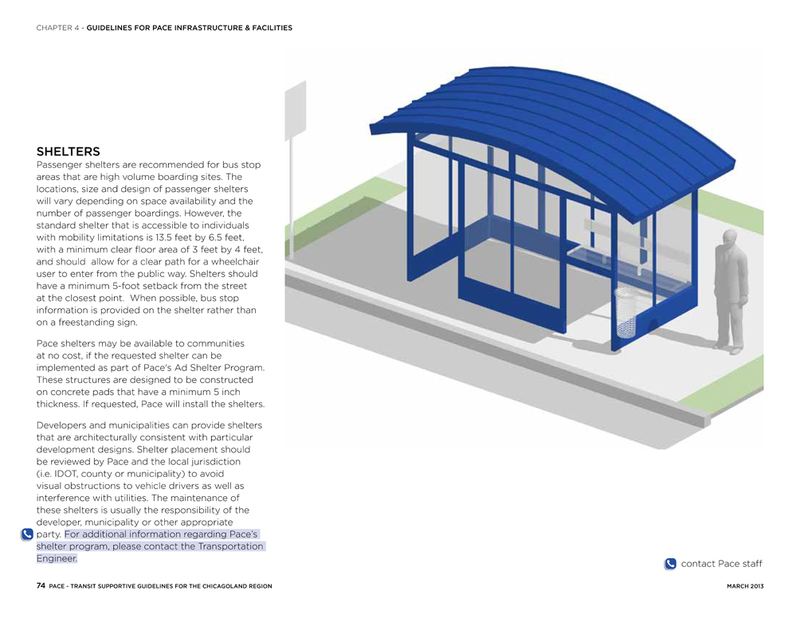 The Guidelines offer an introduction to Pace service types, and describe standards for infrastructure and facilities that enhance those services. 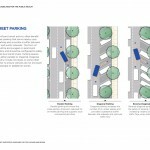 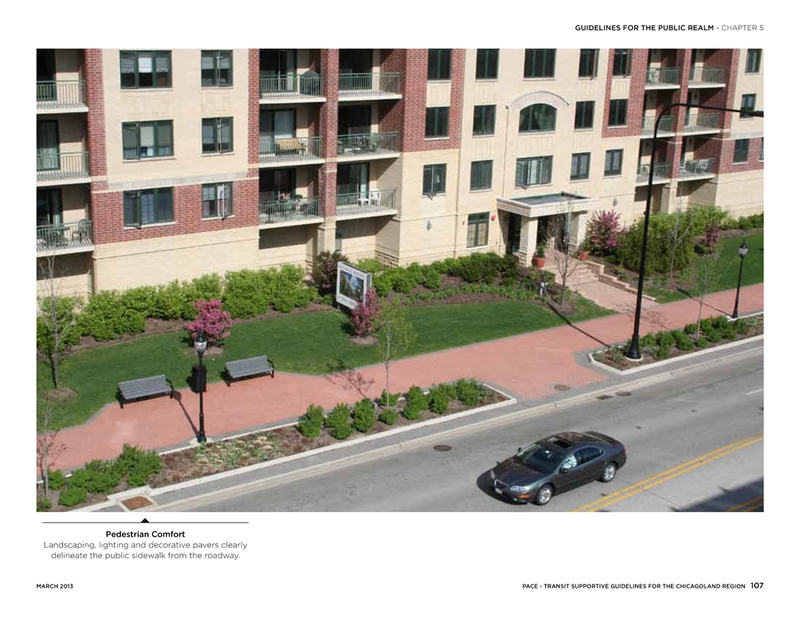 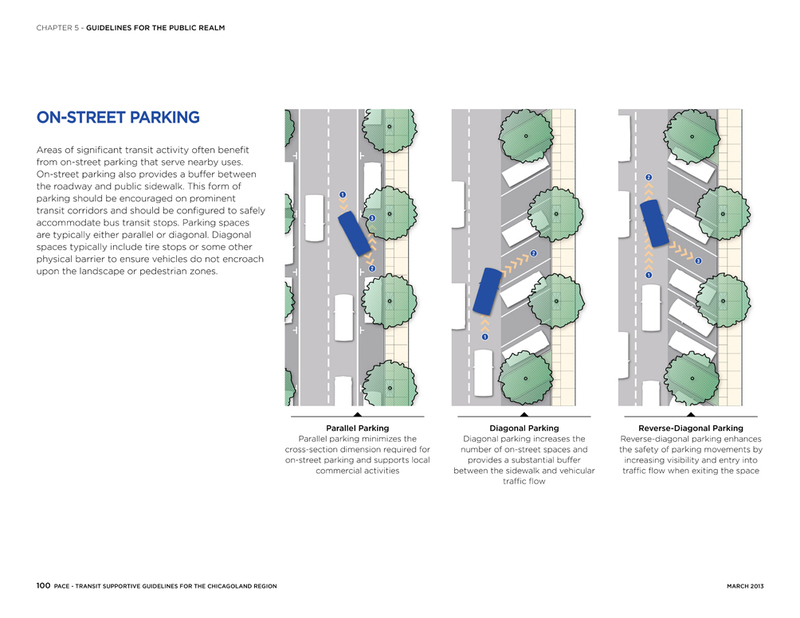 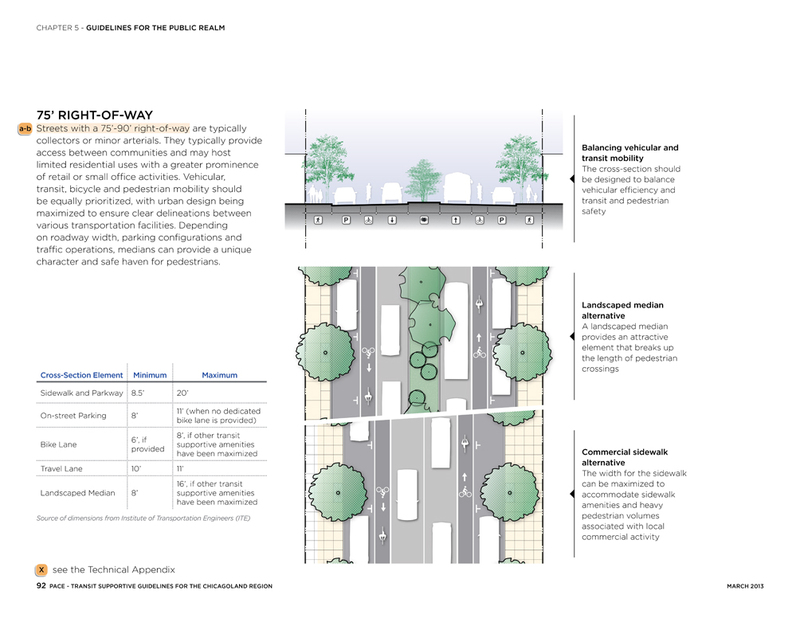 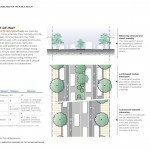 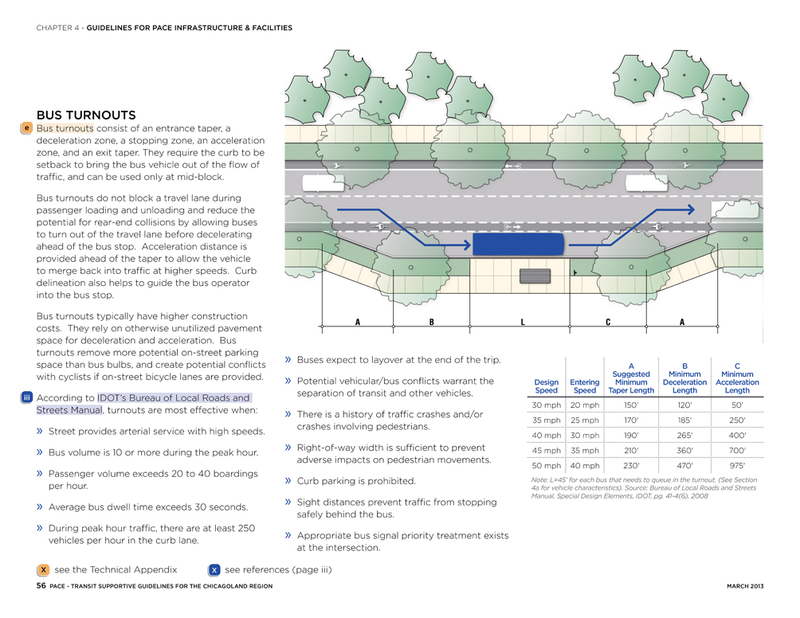 They also provide guidance for the design of various types of streets that may host transit or be used by cyclists and pedestrians to access transit. 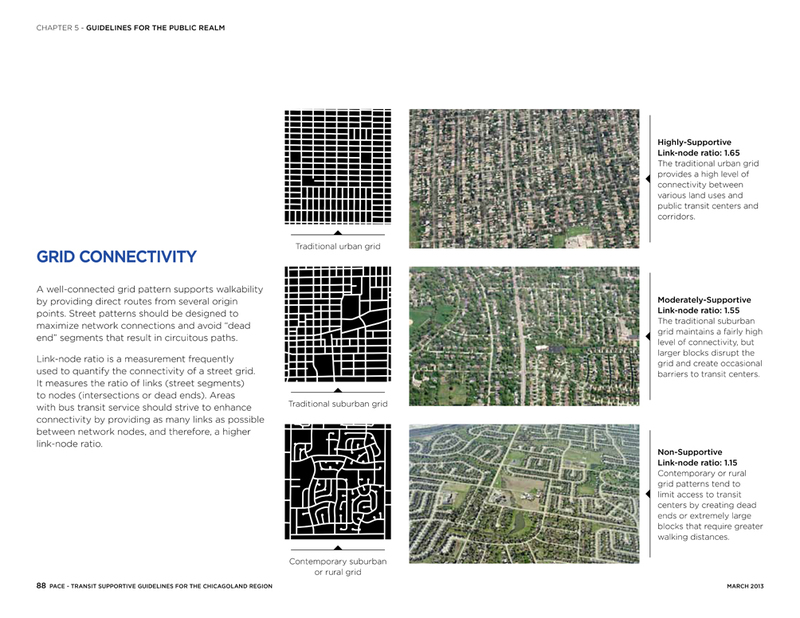 Finally, they suggest standards for the design of private development, from on-site pedestrian networks, to building location and access.